For the month of October, we had a blast building our Home Management Binders. I personally wanted to update mine, so it was a perfect opportunity to get it done. 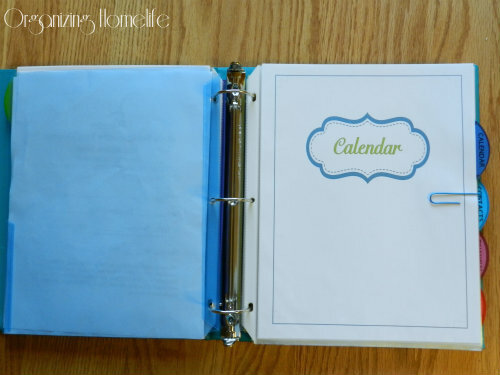 It’s hard to believe how many printables can fit in one binder, but building a detailed binder is oh, so helpful, isn’t it? Today, I’m going to show you how I assembled my binder. Starting off, I’m going to show you an easy solution to a common problem. We all love plastic page protectors, don’t we? They are great for protecting our documents, but they are awesome for making any paper reusable with a wet or dry erase marker. But, there’s a little problem. 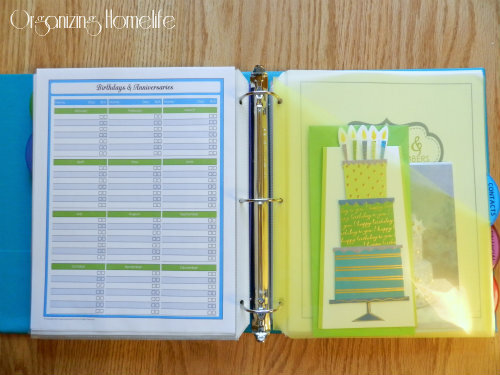 Have you ever tried using tabbed dividers to organize a binder with page protectors? I have no idea why companies haven’t discovered yet that we want some tabbed dividers that are large enough to stick out past the page protectors! Repeat the process with each tab so your alignment is right for each one. Insert your Section Dividers to cover the plastic dividers. Label your tabs. Problem solved! Now your tabs will extend past the page protectors. Don’t you just love simple solutions? Do you like the tabs I used? I found mine at Walmart, but they are also available on Amazon. I used my label maker to label each tab. As I mentioned throughout the 31 Day series, I like to keep my menu planning and recipes in a separate folder. 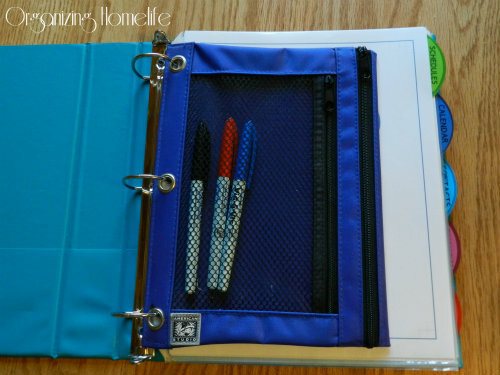 I will write another post to show how I put that binder together. I like to use a little pen/pencil pouch in the front to store things like my fine tipped wet erase markers, post it notes, stamps, etc. I like this one because it has two separate sections. I keep the pens in the front for easy accessibility. ***Note: I prefer WET erase markers so the writing doesn’t smudge off accidentally. 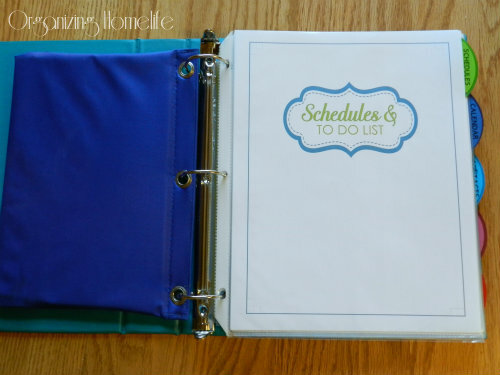 I’m going to show you the order of my binder, but definitely assemble yours in a way that works for you! I like to put my Schedules & To Do Lists first. I use my Daily and Weekly Chore Schedule and Monthly Zones Schedule frequently, so for me it makes sense to have them first. I like to use pocket dividers at the end of each section to hold papers pertinent to that section. At the end of the Schedules tab, I keep papers that I will need like the schedule for my daughter’s Christmas ballet performance. Next is my Calendar. 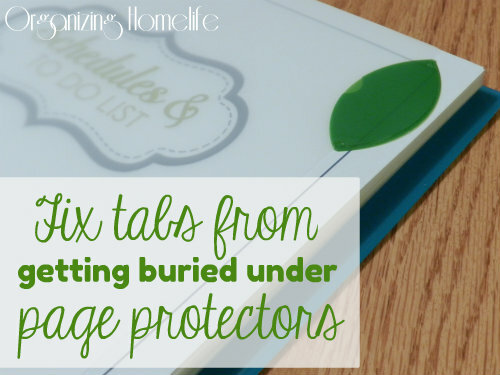 I put mine in page protectors since I deal with everything in my kitchen, but you could just print them out double-sided and hole punch. I sometimes need to refer to months past, so instead of removing them or flipping through many pages, I use a paper clip to easily access the current month. At the back of the Calendar section, I have my Birthdays and Anniversaries printable. I put cards for upcoming special days in the pocket divider. Insurances, Medical Information, Utilities, Family, Friends, and Neighbor Contacts as well as important information like Website User Names & Passwords. At the back of the Contacts section, I have the Babysitter Notes printable. When the sitter comes over, I can easily pull this page out of the binder so she doesn’t have access to all of my other important information. In the event of an emergency, she could be directed to the binder for medical information if needed, or those pages could also be taken out if desired. Next in my Financial section, I keep my Annual Bill Schedule, Monthly Budget and a pocket divider for bills that need to be paid. 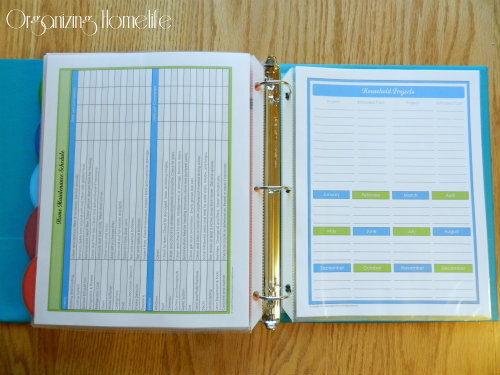 Lastly, I have the Maintenance section where I keep my Home Maintenance Schedule, Household Projects and Auto Maintenance schedules. Occasionally I refer to the home maintenance schedule and enter tasks on my calendar in the “Monthly Chores” section. I enter the date on this printable for reference. 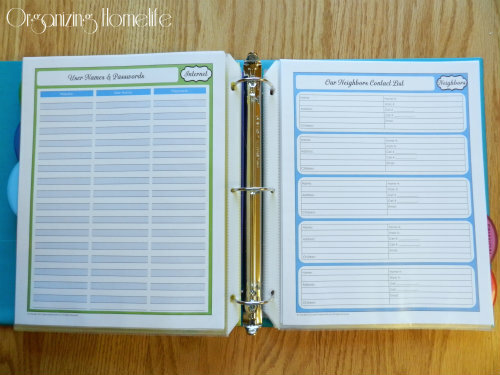 Since I homeschool and our situation is a little different than “normal”, I keep a separate homeschool binder, but you could definitely add a school section to your binder with the School printables, if applicable. 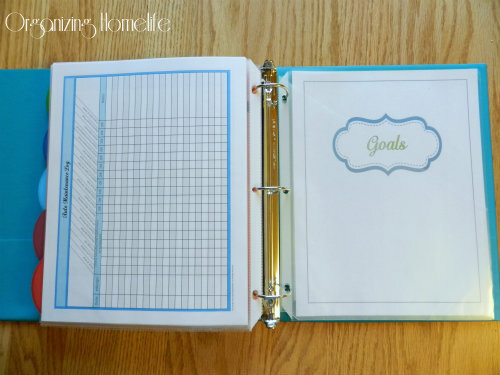 I will be adding more printables occasionally to continue building our binders. If you have suggestions for future printables, I would love to hear them. 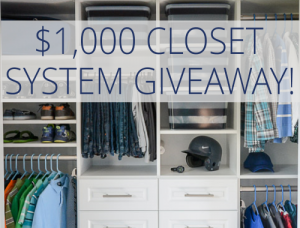 Hoping the giveaway is you, coming to my house and doing this for me! Loved this series and I have all my supplies! Hahaha!! 😀 You made me laugh out loud! I’ll come if you live in Hawaii. 😉 I’m glad you’re prepping to make your binder. It definitely takes time, but it’s SO worth the investment! 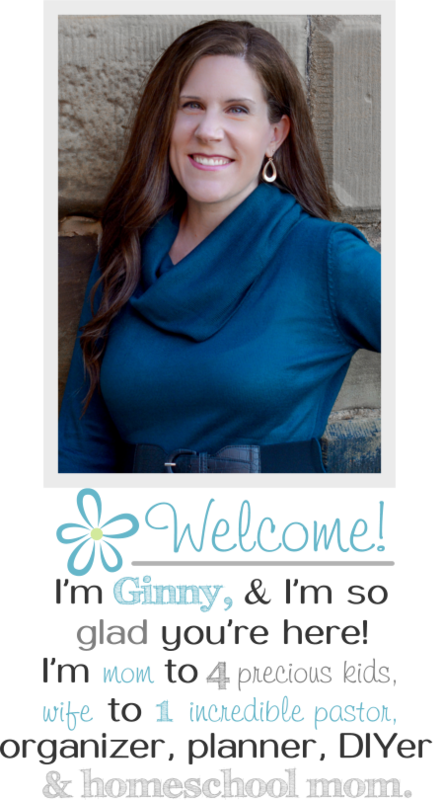 Great post Ginny! It’s nice to see how you’ve organized your binder to help us figure out what will work for us. Thanks for all your hard work on this series! Thank you so much for these fantastic print outs. What a great idea for the dividers. Genius! Thank you so much for the printables. Loved following you through October. 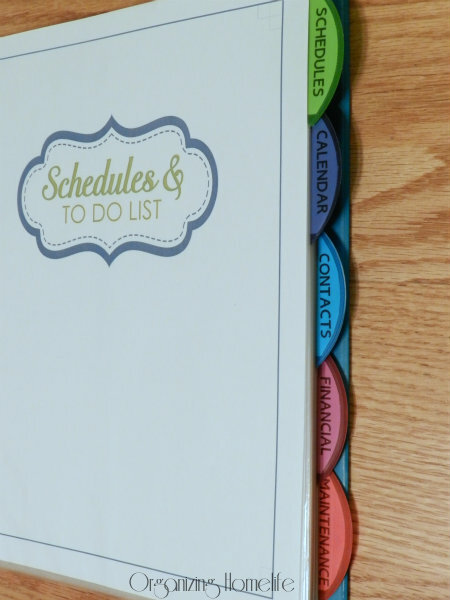 Great solution for the tabbed dividers. 🙂 Looking forward to putting my binder together this weekend. I’m usually just a “lurker” on blogs and I don’t leave comments too often, but I wanted to let you know how much I enjoyed this series on putting together the binder! 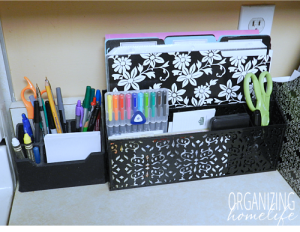 I introduced my mom to it, too, and we have both felt so much more organized!! In fact, she was affected by the recent storm in the northeast, and she told me that for the first time, she had all of her important info and emergency utility numbers in one place that she could grab and go! So THANK YOU for sharing what obviously took lots of time and effort to prepare! Thank you for leaving such a sweet comment, Kathleen. I am so happy to hear how it helped your mom!!! I hope everything was okay for her. Blessings! I have always wondered the same thing about the size of the dividers. I found some sheet protectors with tabs but they were almost $1/each and the tabs were not very sturdy. Too rich for my blood. 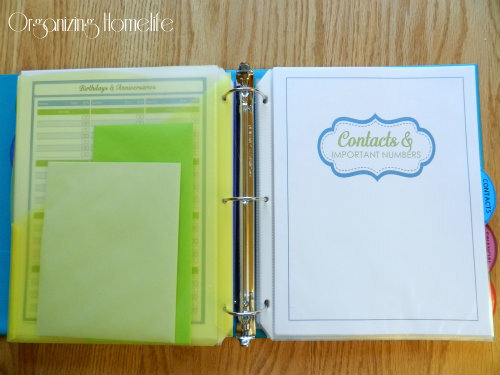 I just used some avery index tabs with printable insert for my dividers $5 for 25 tabs. I think I got them on amazon.com. I had some left over from previous binder projects. They are self stick and I just attach them to the sheet protector. I also use my labeler to make my labels. I know you can do it on the computer but the labeler is faster. 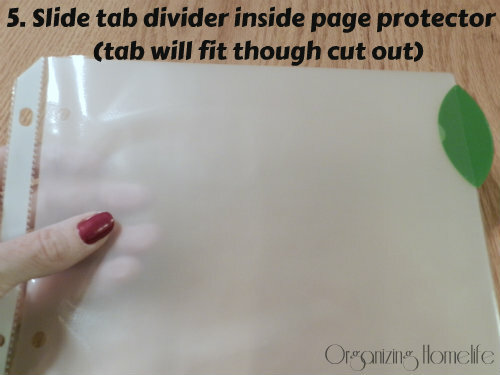 I never thought of putting the divider in the page protector. Genius! Thanks for the great idea. I will have to remember that next time.Can’t wait to see more. Thanks for all your hard work which makes everyone elses life easier. Thanks, Dawn. I’m glad you found it helpful! LOVE LOVE LOVE!! Thanks again for all of the amazing printables! I love my binder!!! Your work on this project is wonderful! Thank you so very much for sharing what the best printables I have seen, and I’ve looked at a lot. You’ve inspired me to re-double my efforts to get my act together. You are changing lives for the better. Thank you. Another option for making dividers is to by the self sticking tabs that are not attached to anything. They come in a little plastic box and it is just the stick-outy part of a tab with stickum on it. 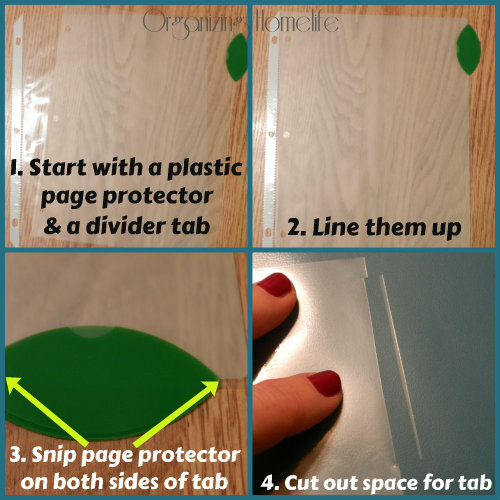 You can attach those directly to plastic page protectors and put the pretty section coversheet down in the page protector. You can buy the tabs at any office supply store. If you’re really taking suggestions, a page for each family member where I can stick their important information I have to reference often would be great. Someplace to jot down their insurance ID numbers, social security, liscense number, basically any of the numbers I’m always having to go look up. Thanks for the suggestion, Rose. I will definitely keep it in mind! This is great thank you! I did find some dividers that are extra wide so they stick out past the page protectors at Office Depot. They are Office Depot brand and in a little section on their own on the binder aisle. I use the binder tabs you can get at any office supply store. (I think Avery makes them). They basically are the tab part of the divider but it has a sticky part you can attach to any surface. (It basically sandwiches the paper) I print the first page of each section on card stock and then attach the tab to the page protector. It also makes it easier if I decide to reorder the categories ( I just have to reprint the tab label). You can buy the tabs in all different sizes too. I found this series on Pinterest and I love it! I still live with my mother (easier to get to college when mom’s house is ten minutes away from campus!) but this will definitely help me get organized now, and I’ll have a jump start on organization when I have a place of my own and a lot more responsibility. Been poking through the rest of your blog too and I love it! I’m definitely going to be a regular reader now. Thanks for all of the work that you did on those printables!! I’m hoping to get mine going very soon! Thanks, Charlotte! Sometimes it’s the simple things that make such a difference, right? 🙂 I’m glad you’re enjoying the printables. Hi there! Thanks for all the great free printables, this binder has been a work in progress for about a year & I just haven’t quite found the right rhythm. Most of your ideas & pages are working wonderful for me. Quick question, I have been looking for the right labeler & checked out yours on amazon but a lot of the reviews say they fade over time, have you found that with yours? or have you had it enough time to notice? Thanks again. Great question, Malia. I have actually had my labeler for probably 5 years or more. I have never noticed any fading, but I have noticed that over time the white paper labels turn a little bit yellowish. I haven’t found that to be as bad with the white plastic labels. Would it be strange if i told you i love you?! I have become so overwhelmed recently but have never been a planner or very organised for that matter. With three kids under 4, and one special needs child to boot, i realised i can’t get by without some serious organisation in my life. I’m so thankful i came across your blog and soooo very thankful for the printables. Love your printables. I’m working on putting my binder together. I also found the larger tabbed sheet protectors at Office Max. Another page that would be helpful would be a place to record sizes for each person (shoes, shirts, pants, etc) and maybe a running list of what they need. Four words…. amazingly perfect beautiful printables. Thank you. Okay six words if you count the “thank you”. Seriously, these printables are the most gorgegous user and printer friendly documents for a HM binder Ive found. And to sweeten the deal, you posted them for us for free…if I could I would send you flowers. Just Fantastic…. hi, I am thoroughly impressed by your organizational tips.i have recently moved to dubai and i am not used to small apartments.I am a busy teacher but i will try to organise myself in winter vacations. 1. 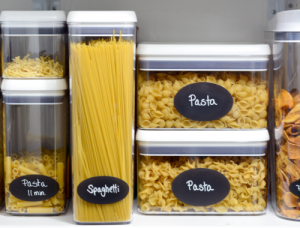 It looks like you used the clear plastic Dymo tape for your divider labels, is that correct? Right now I only have the white plastic and white paper labels, which would cover up that nice divider color. Please advise. 2. When you mark the cutout on the page protector for the divider, what do you use to mark it and do you actually cut out a tiny strip, or just slit the area. 1. I actually used white paper labels. I put them on the white paper insert that comes in the divider tabs package (the paper slides inside of the plastic tab). Thanks Ginny for the clarifications. They definitely help. When I pulled out one of the tabs to look at it, I didn’t look carefully enough to realize there were white paper inserts in the package and that it slid inside of the plastic tab. I was just looking at your beautiful pictures and explanations. For those like me, who want every tiny detail, would you consider adding the explanation you gave me in #1? It might help others too. It now makes sense to use the white paper labels so they will blend in with the inserts. I am looking forward to putting it all together. When I have cut spaces for divider tabs before, I’ve used a dry erase marker to mark the ends. Then you can cut them with scissors, or with an X-Acto or similar knife. This is just what I have been looking for an needed! I can’t thank you enough. 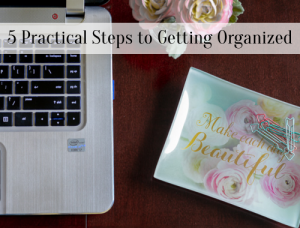 I am a mom of one and have twins on the way, so I am trying organize my life before the beautiful chaos hits. 🙂 I just made my binder (put together) and am going to start filling out the information. I can’t wait to have everything in one place. Thank you again for this wonderful resource. Just found this series and think it’s great. It’s going to make my folder so much easier to use and look so much nice to. thank you. My wife just wanted me to post and say thank you for sharing this, she will be doing it herself so I am expecting some serious organisation in the next few weeks! 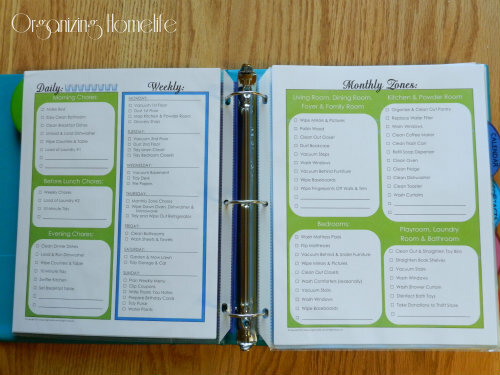 I am so excited I found your blog, I’ve been looking for a while about putting together a Home Management binder but wasn’t happy with much of anything I saw. You cover it all, I am so excited, 2013 will be the year I have it all together! Yeah! I love your site and will continue to visit often! Thank you! Aww, thanks, Crystal! I’m glad you are enjoying it. 🙂 Have fun building your binder and I’d love to have you visit again! I am interested in knowing how you made the dividers. They obviously aren’t written in pen. Did you have a printable for that or type it or use a label maker, etc.? Thank you. I absolutely love this and am very excited to start using it. Cari, you’re right, I definitely didn’t hand write them. 🙂 I used my label maker. There is a link to one in the post right above the link to the tabs. Hope that helps. Have fun making your binder! Oh my goodness, this is like the best thing ever! I am loving it and so SO EXCITED to get started!!! Thank you, thank you thank you!!! I stumbled upon your blog yesterday afternoon & read all of the 31 days of home management posts last night! I’m so inspired that I’m heading to purchase everything I’ll need to make my own! Thank you so much for the printables! The rest of your website is also very impressive & inspiring! 1. Yes, there were paper inserts that came with the tabs. I printed my labels with my label maker, stuck them on the inserts and then slid the inserts into the plastic tabs. 2. Actually, I keep the Books to Read, etc. at the back of my binder. I am planning (eventually) to add more to that section. For now, I filed them under the Goals section. Thank you so much for all of your help getting started. The blog is amazing!! Thanks, Danielle, for such an incredibly sweet comment. 🙂 The font I used is a Hallmark font called OttumHMK Bold. Fantastic binder! I just found this series on Pinterest. 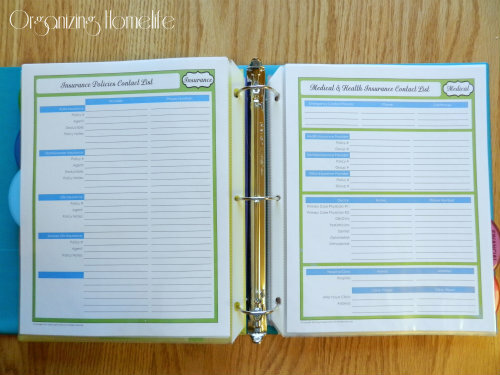 Your custom tabs are beautiful; for those who want something premade, I love the Avery big tab pocket dividers. The ones with the pockets are wide enough to stick out past sheet protectors (the ones without pockets are not). Fabulous blog I came across ever! Thank you for so awesome printable. I have been a binder queen for my college, but no personal & home management binders yet. 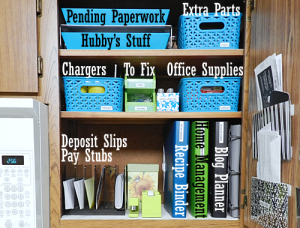 I have been trying to figure how to organize my personal &home management. Your ideas is fabulous that I can get started with. Thank you so much! I have Avery Big Tab dividers, so I can slip the inserts into a tab, if I need to take it out and slip into another tab. 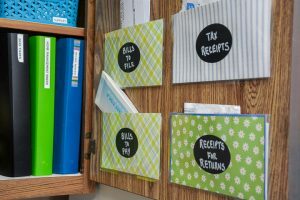 I came to this blog for ideas on home management binders. It looks like you have some amazing ideas but I haven’t even been able to focus on those yet because I was in such awe with your tip on making the dividers visible past page protectors! This is always so frustrating and I have several binders where I can’t see the dividers. I had to put the home management binder on hold so that I could go through all my other binders and fix the dividers! Such an easy tip – definitely one of those “Why didn’t I think of that?” moments! Thank you for making my life a little easier! I will definitely be back to check out the rest of your fabulous ideas! So glad your photo documentation is so clearly presented, thank you! Hi, I loved your printables. It’s a shame that I can’t find something like this but in portuguese (I’m from Portugal). Just an FYI… they absolutely do make and sell dividers that are wider than the sheet protectors. You can find them at stores like office depot or I have seen them on amazon as well. I recently came across that problem myself when doing a binder for all my instruction manuals. I search amazon for everything when I don’t know if something exists or not. Sure enough they had them, but I went and found them the same day at office depot cause I did not want to wait for them to get shipped. Your solution is very clever. But they do exist. They are “extra wide” and can be found with all the other sheet protectors and dividers. You may have to really examine the shelves to find them. Hope someone finds helpful. 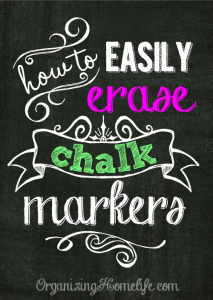 Nice blog and wonderful printables! I’ve looked around the web for months and yours are the most user friendly, complete and attractive (important b/c what good is a home management binder if you don’t simply adore it?! lol) best of all you offer them free, thank you! So kind….I can’t wait to put mine together:) And your tab-page protector fix, genius! 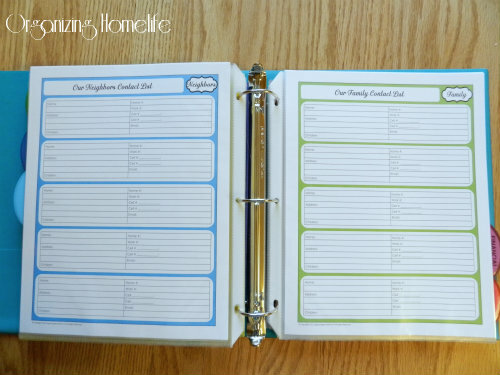 I have a printables suggestion; you already have an “entertaining meal planner” and “holiday meal planner” which I printed, but I’d love to see an entertaining/holidays log. I would use this to keep a record of what I served guests; who, date, the occasion and what I served, Maybe a notes section too, to jot down if it went over well, or what changes I’d make if any and allergies/likes/dislikes to remember etc. I have a few go to favs for entertaining, holidays and potlucks. A record/log would help prevent serving guests the same thing twice or forgetting that someone is allergic to eggs and someone else is vegan etc. Thanks again for great organization ideas and tips. I feel motivated and in control. I love all of your printables. Thank you for your great ideas and sharing them. Do you have the 2013-2014 Calendar available yet? I have just stumbled across your blog and what a find! I am very impressed and can’t wait to start working on this binder. 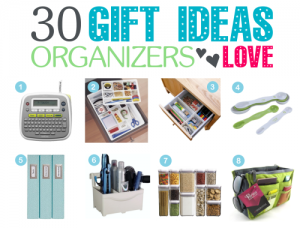 I am one of those people who love the idea of organization and would love to one day achieve it! Places like this one really give me hope! I really think I can do this! I look forward to searching more around your site. Had to take the time to let you know what a great job you are doing. Have a great night! Will you be making a 2013-2014 calendar to go with this set? I love it and thought it would make the best Christmas/house warming gift for my sister! 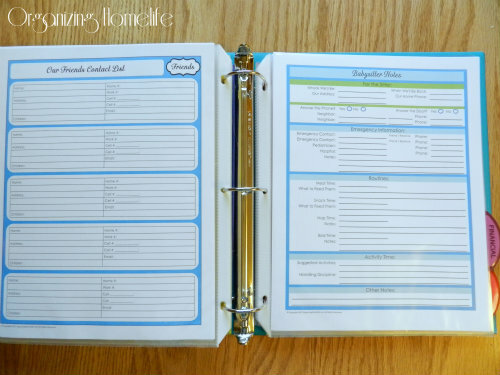 Do you use a plain binder and not the Duo Binder you use for the Recipe Binder? If you use the Duo for your Home Management Binder, how do you organize the files part? Thanks for all the great ideas! I found sheet protectors with tabbed dividers at Office Depot. I LOVE them! 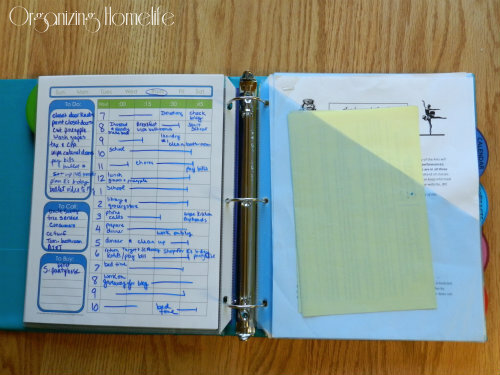 Have you ever done a series on your homeschool binder. I will begin homeschooling next month and I would love all of the organization tips I can get. 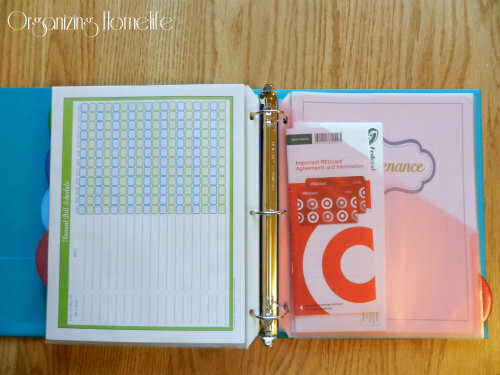 Love all of this binder and plan on starting to use it in the new year. Thanks!! I love keeping a “control journal” and am always on the lookout for helpful pages to put into it. Thanks for sharing these with all of us! As a soon to be mother, your binder has helped a lot. Which is why when I read you home school and have a different binder for it, and we would like to home school I wanted to see if you could help me figure out what I need to do before our little one comes to just be perpared. I absolutely LOVE what you’ve done!! Thank you so much for sharing. I can’t wait to get started on updating my household folder (yours is SO much better than what I’ve got at the moment!). 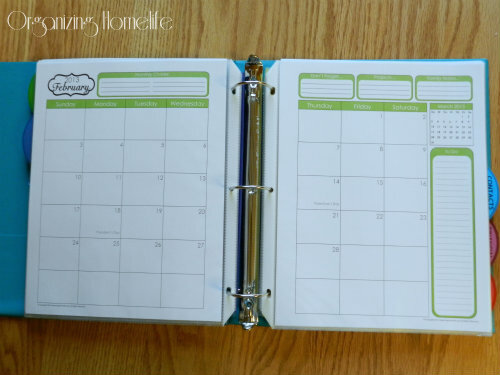 Maybe add a workout daily, weekly, monthly page somehow…. Realize this is a silly question, but what do you keep in the accordion part of your Duo?? Beautiful printable, compiling my stuff now! Any chance that a 2016-2017 Calendar will be posted soon?